I had been trained as a cartographer and a geologist to see rock and space in limited scientific ways. Over the years I have come to see beyond this limited view of the universe. I know first-hand that juxtapositions and relationships normally “invisible to our ordinary senses” can be seen through the lens of astrology, specifically through Astro*Carto*Graphy®. 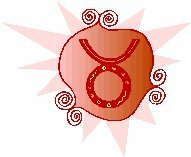 On April 19th the tropical sun moves into the sign Taurus. We can know this by looking to the colors and growing abundance of forms in the environment. All the world seems to take on flesh. The melting snow and spring rains produce the luxuriant colors of Taurus – deep Earth browns, rich emerald greens, and a variety of the more radiant colors of the rainbow. There is much of value in these forms and their colors. Nurturing all of this is the soil of the Earth – soil composed of rock, the foundation of the Taurean Spring. Accumulating value is what Taurus is about, but we would underestimate the value of this fleshing out if we were to look only at the vegetative and animal forms. For all of the higher forms are created out of components we know as elements. The elements appear at their densest, most material form in rock. Ordinary rock conceals and contains all the elemental units of life as we measure them. All bodies are composed of them with even the rocks having an expression of aliveness. But our five senses limit us and cause a perceptual bias with regard to the aliveness of rock. Earth hides her secrets well through the blocking effect of her great density – for this effect gives but the shell of a thing and conceals any inner aliveness and function. Thus, we humans perceive no meaningful active relationship between stone and ourselves. For what relationship can exist between the choice of construction material used in a building and the function of that building? Aren’t the choices of construction materials simply utilitarian? Aren’t they simply aesthetic? Or, are there considerations beyond the consciousness we commonly experience? Might there not be values to the stone, which our bodies can recognize and inter-react with on unconscious elemental levels? For many, stone continues to have a power and energy we can but barely measure with our quantitative tools. But, with our qualitative tools (emotional and intuitive) we can go further toward dissolving any blocks in discovering a stone’s aliveness. Imagine the biases held by the European public towards stone before the famous Madam Curie helped penetrate them in the late 1800’s. Madame Curie discovered aliveness in stone, which came to be known as radiation. For this discovery, she was awarded two Nobel Prizes. Radiation is now a common feature of our world from medicine to missiles. From this we can see how even collective values are but energy, which can become frozen like stone and become difficult to pierce. But, as Madame Curie demonstrated, the stone and society’s barriers can be dissolved. Stones have meanings that affect human beings through an inherent primal relationship and those meanings are largely invisible to our ordinary senses but can be revealed through such intuitive tools as Astrology. The Bank of America Headquarters complex and its featured sculpture are constructed of stone obtained from locations, which were traceable. These two types of stone were obtained in locations greatly distant – 8,000-9,000 miles from one another with no apparent meaningful relationship. 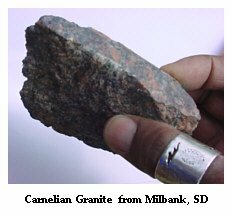 One stone, Carnelian Granite, came from a quarry in the town of Milbank, South Dakota (45°13.2’N, 96°37.9’W) and went into the walls and plaza of the bank. The Carnelian Granite formed the bulk of the body of the building. The second stone, a Black Granite, came from quarries near Emmaboda, Sweden (15°30’E, 56°30’N) and became the body of a sculpture featured on the plaza. With these two facts, we are ready to embark upon a demonstration as magical as was Madame Curie’s demonstration of radiation. Conversion of the two types of granite used to construct the bank to their Astrological components gives symbols through which necessary questions can be asked. Further modulation of these symbols into a common language allows the two stones to speak. This conversion is achieved when some value can be formed for the Bank of America stones which connects them to a known established foundation. The most obvious foundation is America and the American public. The U.S. Natal and Astro*Carto*Graphy® charts reveal astrologically what the American public immediately relates to. They react sensually to the stone building and statue. The existence of any lines over the origin points of the granite in the U.S. Astro*Carto*Graphy® chart establishes the Bank of America Headquarter’ relationship to Americans. Additionally, the astrologically revealed meaning of the lines can be applied against the Bank of America Headquarters’ own natal chart established for the formal dedication held October 15, 1969, 10:30 am (or a few moments afterwards). Astro*Carto*Graphy® lines identify zones where a particular planet might have been experienced as angular had the U.S. been established in South Dakota or Sweden rather than Philadelphia. Michel Gauquelin has established this angularity as scientifically significant. Any entity falling under these lines demonstrates a heightened probability of expressing particular values and inclinations. 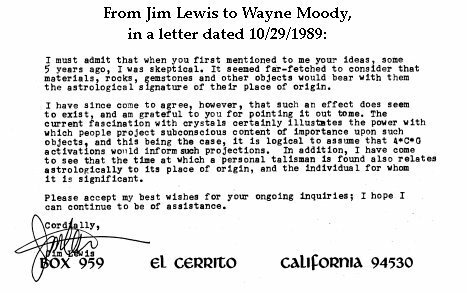 Looking to the actual U.S. Astro*Carto*Graphy® chart, we find there are lines over the granite quarries. These lines reveal a powerful, clear, dynamic relationship between the Bank of America and the American public and give a symbol with which to communicate. These lines are (from the rules governing Astro*Carto*Graphy®) within a very tight orb of the granite quarries. The astonishing point is that both of these lines are lunar ones reflecting values for the U.S. natal moon placement. A heretofore unknown value is now established in granite for the Bank of America – as was radiation established by the Curies in particular stones. The moon in any chart – its sign, degree and placement – addresses that native’s (for our use, the U.S.) roots and heritage. Also, the moon defines a particular collection of people, their security needs and collective feelings. People are the bank’s security and a powerful, uncorrupted bank is the people’s security. It is the stone’s ability to reveal this knowledge of the Bank of America’s public relationship that is surprising. When this article was notarized on April 18, 1985, the Bank of America was the world’s largest, richest bank with over $100 billion in assets. It was considered stable and there was no thought to any troubles threatening its status. After the May 19th Eclipse that all changed. 6/17/85 ~ newspaper article, “Record U.S. Banking Loss” $338 million quarter loss is the 2nd largest in U.S. banking history. 7/09/85 ~ Bank America confirms plan to sell headquarters building (555 California Street, S.F., CA). The bank was sold on September 12, 1985 for $660 million dollars. 9/17/86 ~ WALL STREET JOURNAL, “Bank America Denies Rumors on Health as Speculation Briefly Depresses Dollar.” The Bank lost $2 billion dollars as a result of the run. The SEC investigated the rumor. 10/11/86 ~ NEW YORK TIMES, “Chief Quitting BankAmerica Amid Turmoil”, Samuel Armacost resigns as B of A CEO.